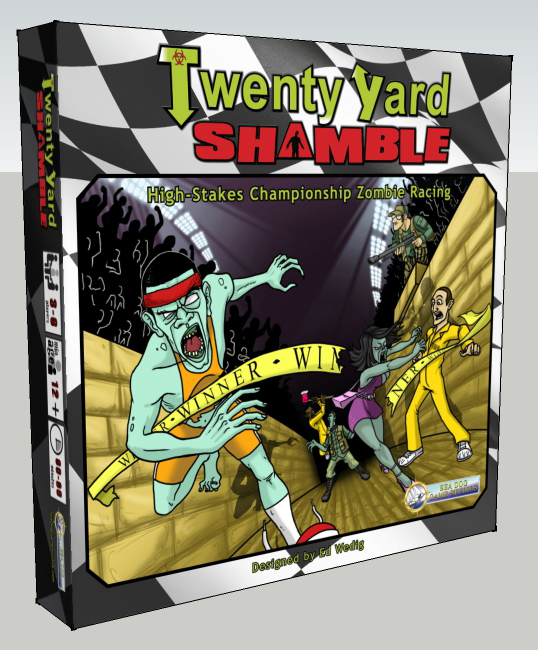 Twenty Yard Shamble – High Stakes Zombie Racing! 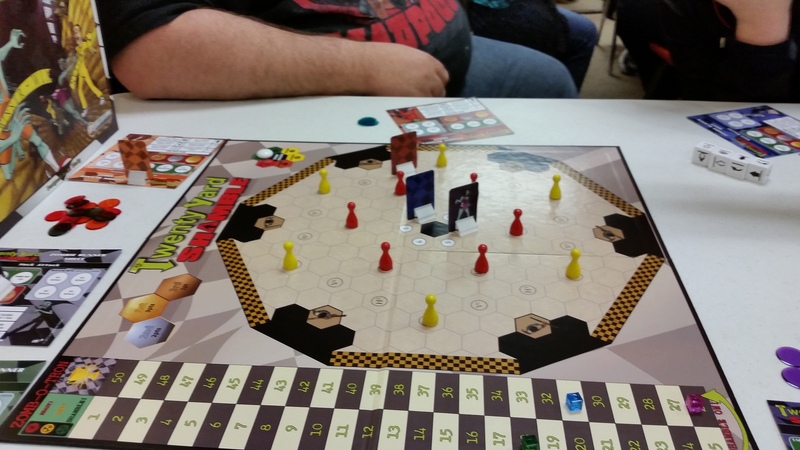 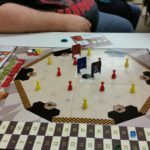 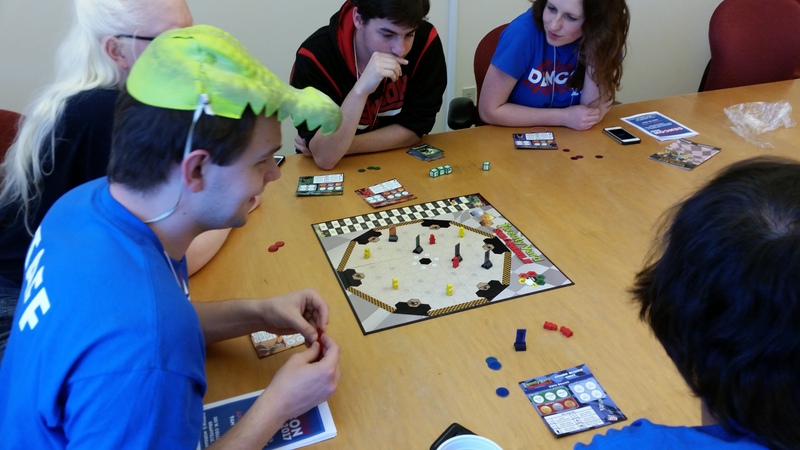 Twenty Yard Shamble is a tabletop board game where players race zombies in an arena over a series of 3 races. 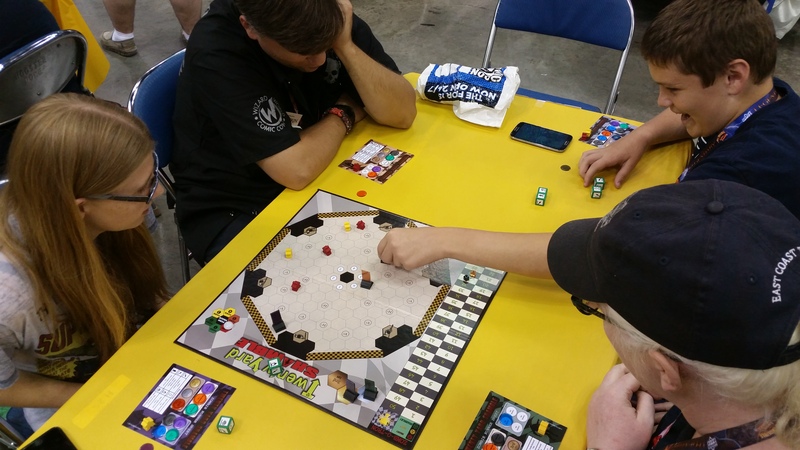 Players can place bets on any of the racing zombies, including their own, and earn prestige points if those zombies win, place or show. 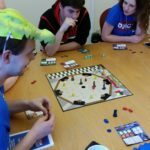 At the end of 3 races, the player with the most prestige points is the winner. 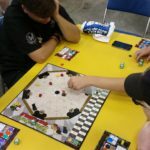 This entry was posted in Game Design on January 27, 2018 by AdminEdward.